PART NUMBERS: 03L130277B. SPARE PARTS. 1598ccm ( 1.6 TDi). VW Golf VI 1.6 TDI with 66 KW from 02.09. VW Golf VI 1.6 TDI with 77 KW from 02.09. VW Golf VI Cabriolet 1.6 TDI with 77 KW from 03.11. VW Golf VI variant 1.6 TDI with 66 KW from 12.09. PART NO: BK2Q9K546AG. 2.2 TDCI DIESEL. FUEL INJECTOR. Fuel Rail Sensors. Main Bearings. Fuel Pump Solenoids. Fuel Pump Valves & Sensors. Fuel Filler Flap and Housing. 2.2 TDCI DIESEL. FUEL INJECTOR. Fuel Rail Sensors. Main Bearings. Fuel Pump Solenoids. Fuel Pump Valves & Sensors. Fuel Filler Flap and Housing. Fuel Injectors. Fits : PEUGEOT 406 2.0 HDi. FOR PEUGEOT. COMMON RAIL INJECTOR WASHER. ALTERNATE NUMBERS View Our Categories. FIESTA - FUSION - CITROEN - PEUGEOT. FORD / PEUGEOT / CITROEN & MORE. FUEL INJECTOR. Fuel Rail Sensors. Fuel Filler Flap and Housing. Fuel Pump Solenoids. Fuel Pump Valves & Sensors. Rear Bumper Kits. FOR FORD FIESTA 1.4 TDCi. COMMON RAIL INJECTOR WASHER. THICKNESS : 2.5 mm. NISSAN QASHQAI J10 MK1 1.5 DCi. FUEL INJECTOR RAIL WITH FUEL PRESSURE SENSOR. alternatively. Getting in touch. 2.0 HDi 90 1998 cc 4 cylinder 8 valve DW10 / DW10TD. CITROEN XANTIA, XSARA, XSARA PICASSO, C5, C8, DISPATCH, RELAY. GENUINE PEUGEOT & CITROEN USED PARTS SPECIALISTS. PEUGEOT 206, 306, 307, 406, 806, 807, PARTNER, EXPERT, BOXER. H8201100113 Renault Clio III, Megane Diesel Injector. Renault-Nissan diesel injector. H3200704191 Fully refurbished so superb condition as you can see, this auction is for one. Any questions please ask! REMOVED FROM:2008 2.0 TDCI FORD MONDEO ZETEC 5DR HATCHBACK 6 SPEED MANUAL DRIVE 140HP. COLOUR:LIMOUSINE PANTHER BLACK. MILEAGE:APPROX.168,000. FOR PEUGEOT. Fits : PEUGEOT 307 SW 2.0 HDi. COMMON RAIL INJECTOR WASHER. 1980Y0 / 1980. ALTERNATE NUMBERS View Our Categories. CITROEN RELAY 2011 ON 2.2 DIESEL. PEUGEOT BOXER 2011 ON DIESEL. LAND ROVER DEFENDER 2011 ON DIESEL. FUEL INJECTOR. Fuel Rail Sensors. Head Bolts. Fuel Filler Flap and Housing. 2.2 & 3.2 TDCI DIESEL. 1 x AT injector incl. copper sealing ring BOSCH test report supplied. NISSAN Quashqai. © 2018diesel Fixneuss -All right reserved. Le dépôt est Reto urn après la réception of the old part. Produkttyp Einspritzdüse. CITROEN C1, C2, C3, PEUGEOT 107,307, 1007 1.4 L 50 KW 198090. CITROEN C1, C2, C3, PEUGEOT 107,307, 1007 1.4 L 50 KW 1980E7. 1 x AT injector incl. 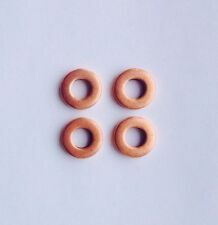 copper sealing ring O-ring BOSCH test report supplied. FITS 2005-2009. USED BUT IN GOOD WORKING ORDER. Citroen C1 1.4HDi. Citroen C2 1.4 HDi. Peugeot 107 1.4HDi. Part also fits:FIESTA 2002 -2009 1.4 Diesel Engine. FUSION 2003 -2011 1.4 Diesel Engine. 2003 FORD FUSION. Model years are given as a guide only. COMMON RAIL INJECTOR WASHER. FOR TOYOTA. Fits : TOYOTA AYGO 1.4 HDi. 5WS40148-Z / 5WS40149-2 / A2C59511612. 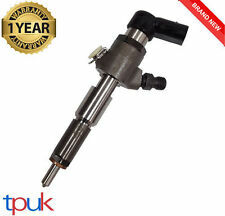 WE HAVE BEEN RECONDITIONING COMMON RAIL INJECTORS SINCE THE YEAR 2000. THIS PART WAS REMOVED FROM 2008 FORD MONDEO EDGE 1.8 TDCI 100 5 DR HATCHBACK. THIS PART IS IN GOOD WORKING CONDITION. REMOVED FROM:2004 CITROEN BERLINGO MULTI SPACE 2.0 HDI. MILEAGE:120,000. PART NUMBER 0445214010 & 0281002283. If this is not the case then you have the choice of refusing the item whilst you are on site. Before we dismantle parts from a car, we check the functionality to ensure that the parts are in good working order. 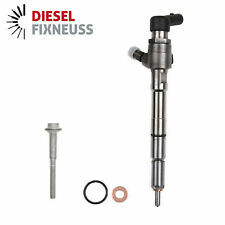 Fits : PEUGEOT 406 2.2 HDi. FOR PEUGEOT. COMMON RAIL INJECTOR WASHER. ALTERNATE NUMBERS View Our Categories. PART NUMBER 4R8Q 9D280 AC. (L197) JAGUAR S TYPE XJ X350 XF 2.7 DIESEL PASSENGER SIDE INJECTORS FUEL RAIL -LEFT. LOCATION L197. We are Jaguar Spares. RADIO CODES WILL NEED TO BE OBTAINED FROM THE MAIN DEALER. PART NUMBER 4R8Q 9D280 BC. 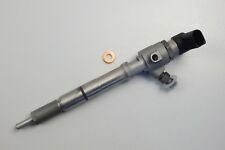 (L195) JAGUAR S TYPE XJ X350 XF 2.7D DRIVERS / OFFSIDE INJECTORS FUEL RAIL. LOCATION L195. We are Jaguar Spares. RADIO CODES WILL NEED TO BE OBTAINED FROM THE MAIN DEALER. 2.2 AND 3.2 TDCI DIESEL. FUEL INJECTOR. AND FORD RANGER 3.2 2011 ON. Fuel Rail Sensors. Main Bearings. Fuel Pump Solenoids. Fuel Pump Valves & Sensors. Fuel Filler Flap and Housing. 2004 - 2009 Land Rover Discovery 3 / Range Rover Sport 2.7 TDV6 Diesel Fuel Rail. We also boast an extensive used car parts centre. We are a bonefide 'End Of Life' Vehicle Dismantlers situated in East Devon. 3.2 TDCI DIESEL. FUEL INJECTOR. FORD RANGER 2011 ON DIESEL. Fuel Rail Sensors. Main Bearings. Fuel Pump Solenoids. Fuel Pump Valves & Sensors. Fuel Filler Flap and Housing. Peugeot Volvo Citroen Fiat Ford 2.0 HDI TDCi Diesel Fuel Rail injector Condition is shown on the high quality photos .All used parts has been tested and is functional can have marks wear and tear.I recommend installation in specialist garage.I not take responsibility for any damage in installation.Returns is not accepted.If you have any questions please feel free to contact. Buying this item you accepted this terms and condition. REMOVED FROM FORD MONDEO MK4 2.0 TDCI TITANIUM HATCHBACK,2008 YEARS,140 BHP,6 SPEED MANUAL GEARBOX,ENGINE CODE QXBA,PAINT CODE T6. MY AIM IS TO MAKE SURE YOU ARE ALWAYS 100% HAPPY! THIS ITEM HAS BEEN REMOVED FROM A 03 07 FORD C MAX 1.8 8V TDCI 115BHP MANUAL 5SPD. ALL ENGINES SOLD ARE SOLD AS BARE ENGINE HEAD & BLOCK - ANY ANCILLARIES LEFT ON THE ENGINE ARE NOT TESTED. 2.2 TDCI DIESEL. CITROEN RELAY 2.2 2011 ON. FUEL INJECTOR. Fuel Rail Sensors. Fuel Pump Valves & Sensors. Fuel Pump Solenoids. Jack Handles. Fuel Filler Flap and Housing. PEUGEOT 307 2003 2. We are located at Autoline Motors Ltd, Froghall Stoke on Trent. Removed from: Range Rover Sport 3.6 TDV8 2008. Item: Fuel injection rail (Left). 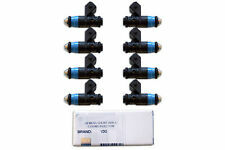 FORD GALAXY 2.0 TDCI FUEL INJECTORS. £50 EACH OR 4 FOR £200. 2004 - 2009 Land Rover Discovery 3 Range Rover Sport 2.7 TDV6 Diesel Fuel Rail. We also boast an extensive used car parts centre. We are a bonefide 'End Of Life' Vehicle Dismantlers situated in East Devon. 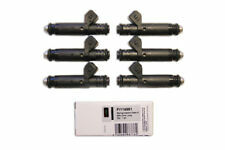 Jaguar S-Type 2.7L TDV6 276DT 2004-2009 Automatic Fuel Injectors and Rail Part Number: 4R8Q9D280BA / 4S7Q9K546AF Quantity : 1 Price: £99.99. LAND ROVER DISCOVERY 3 RANGE ROVER SPORT JAGUAR 2.7 TDV6. HERE IS FOR SALE 3X FUEL INJECTOR RAILS. PART NUMBER:- 17521387R. PART NUMBER:- H8201225030. FITS 2010-2016. 3 MONTH WARRANTY. PART NUMBER 4R8Q 9D280 AA. 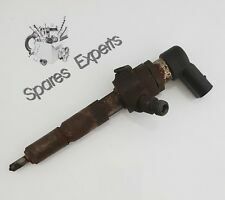 (L68) JAGUAR S TYPE XJ XF 2.7 DIESEL PASSENGER SIDE INJECTOR FUEL RAIL. LOCATION L68. We are Jaguar Spares. RADIO CODES WILL NEED TO BE OBTAINED FROM THE MAIN DEALER. ALL PAINTED PANELS ARE SOLD AS NEEDING A RESPRAY.ALL DOORS/TAILGATES AND LARGE BONNETS ARE LISTED AS COLLECTION ONLY.”.